Today, we received news from Chase that the Gwendolyn Strong Foundation was selected as one of the top 100 charities, based on YOUR votes, in their Chase Community Giving campaign on Facebook. Thus, GSF will receive a $25,000 grant from Chase and will advance to round 2 of the campaign with a chance to win as much as $1 Million. We're still gathering information and to be honest it's still sinking in, but we wanted you all to know this amazing news right away since none of this would have been possible without each and every single one of your votes and your personal, passionate efforts to prop the Gwendolyn Strong Foundation up on your shoulders. This is another humbling example of how this vibrant, active SMA community and every person that this horrible disease touches can collectively accomplish anything that we put our minds to as one, united, motivated voice. We are excited to be donating 100% of this grant to Dr. Hans Keirstead's promising SMA stem cell program at UC Irvine. As most of you know, this groundbreaking research has the potential to cure SMA and have a material, positive impact on all science forever. We know that this grant will help Dr. Keirstead and his team accelerate the process to get this treatment to human clinical trials as safely and efficiently as possible and to the children in need of a cure. From the bottom of our hearts, thank you, thank you, thank you to each and every one of you. Now, on to ROUND 2! As a community, let's go get that $1 MILLION to help CURE SMA once and for all! Click here to go to the Chase Community Giving campaign on Facebook to see the top 100 charities. 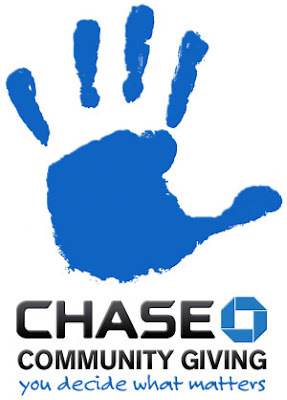 Click here to read the press release from Chase.